You’ve likely seen Cal Fire choppers and planes making tactical strikes on fires around the Bay Area, but the series of devastating fires burning in Wine Country called for the the state’s biggest, newest and most awe-inspiring fire-fighting weapon: the 747 SuperTanker. 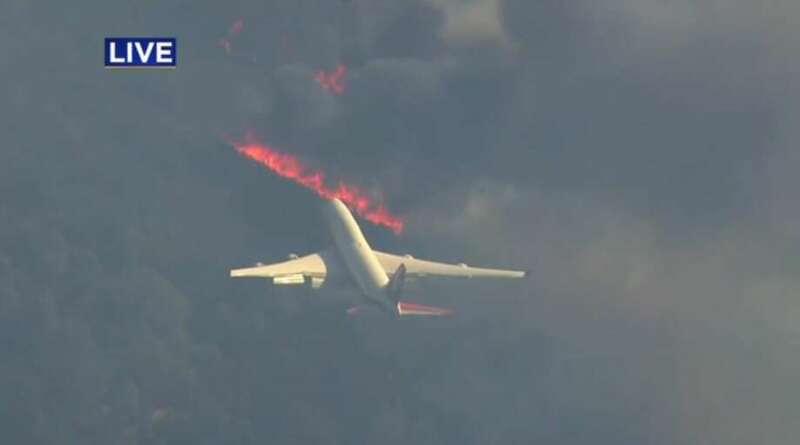 KPIX 5 captured images of the modified passenger plane zeroing in on a blazing ridge in the North Bay Monday morning. The retardant dump can be seen in the video above. CalFire deployed its SuperTanker 747 to combat devastating fires burning in Wine Country Monday. The modified Boeing 747 can reportedly drop up 19,600 gallons of retardant, and reach anywhere in the country in about three hours, according to a San Bernardino Sun report published earlier this year. The plane was officially contracted by Cal Fire earlier this year and first used near Oroville this August, according to David Richie of Global SuperTanker, the makers of the plane conversion.